There are three designs available, all of which are manufactured to a specific size and in your chosen finish. Our bestselling door. If your requirements are typical of most garage scenarios, the Classic, with its 77mm insulated slats, will probably be the best choice. Available in a wide choice of colours with innovative features and state-of-the-art technology. 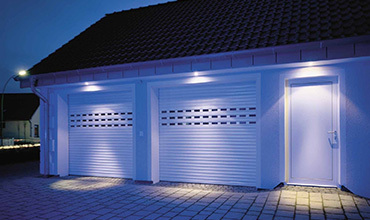 Roller garage doors are renowned for their unique space-saving design, and the Compact has been developed specifically for garages with limited headroom. 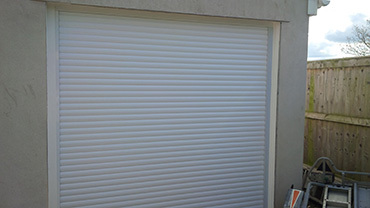 Its 55mm insulated slats enable a smaller box enclosure than the Classic and Elite doors. 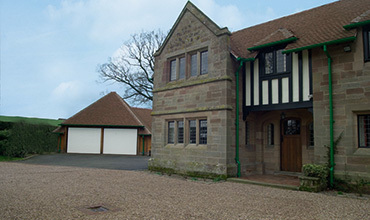 Our most secure door, incorporating 77mm insulated profiles. The Elite is tested and certified to LPS 1175 SR I level by the Loss Prevention & Certification Board (LPCB), the world's leading body in the certification of security products. Attainment of the LPCB rating automatically ensures Police Preferred 'Secured by Design' status. Beware of inferior imitations - very few doors comply with both sets of test criteria. Remote control operation provided by world-leading brands in home automation. A wide choice of solid colours, available with white, brown or matching box and guides as standard. Painted wood effect doors compliment the colour range with the option to upgrade to a wood laminate or RAL colour finish. A locally supported comprehensive 5-year warranty covering parts, motor, controls and finish.